Our most popular post ever was Top 12 locals’ picks for vegan eats in Whistler in 2016, so we thought it was only right to get an updated list for 2017! 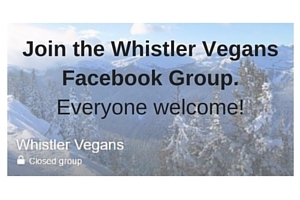 Whistler has lots of amazing options for vegans, you just need to know where to look. The Green Moustache is a known favourite, being Whistler’s only vegan restaurant, but there are also lesser known gems that are well worth seeking out. An incredible spot for high-end vegan dining is Alta Bistro. It may not look like a vegan friendly restaurant from the menu, but they have not one, but two vegan chefs! 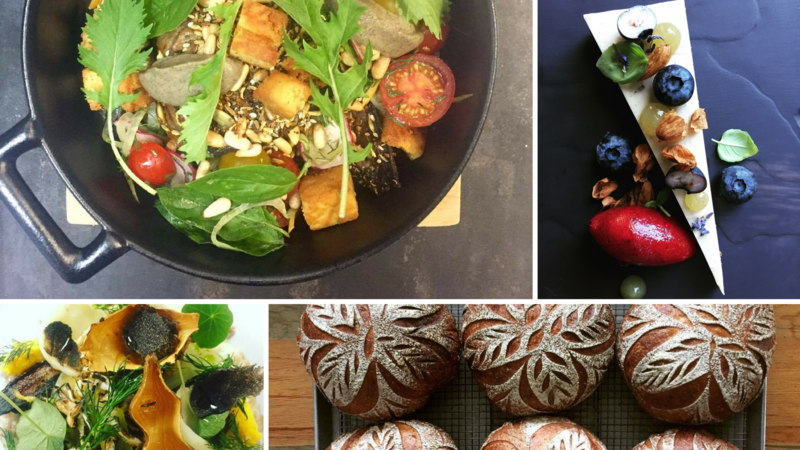 The food is inspired by some of the top vegan restaurants in New York and California, and not to be missed. Another lesser known stand out for vegan options is Samurai Sushi. Away from the main village, there are two cafés, one at Nesters and one in Creekside. Lots of vegan options for a quick bite or take out. Vegan dishes are popping up on menus at many other locations in Whistler too. Looking for an indulgent vegan brunch? Check out Aura‘s amazing vegan pancakes. Hankering for filling burger after a day on the hill? GLC has you covered with their tempeh burger. Craving ramen? Harajuku has recently added vegan options to their menu. See below for how the locals voted, and for the full list of recommended restaurants for vegan options, visit our restaurants page.